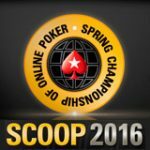 The WPT Canadian Spring Championship 2016 takes place between 29th April - 5th May at the Playground Poker Club, Kahnawake, Canada. 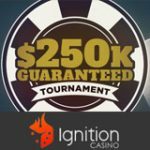 The winner of the event will get entry to the WPT World Championships valued at $15,000 as part of the prize pool winnings. 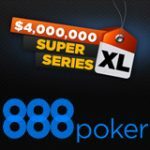 The World Poker Tour event will feature three starting days with Mike Sexton and Tony Dunst providing commentary on the live stream of the final table. 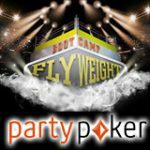 As the official sponsors of the WPT, PartyPoker offer a comprehensive range of online poker satellite tournaments where players can win prize packages for the WPT Canadian Spring Championship 2016. 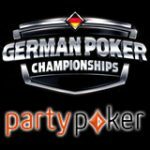 The tournament also qualifies for points in the World Poker Tour Season XV so there be several big name poker pros playing the event. Win a $5,000 prize package to the WPT Canadian Spring Championship 2016, prize includes $3,500 tournament buy-in plus $1,500 for travel and spending. Start qualifying for your WPT Passport with buy-ins starting from a ridiculously low 1¢, play your way to the twice weekly final satellite where there is at least one package guaranteed. Prizes: 1x WPT Passport Micro Feeder entry for every $5.50 in the prize pool. 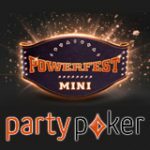 Prizes: 1x WPT Passport Mini Feeder entry for every $22 in the prize pool. Prizes: 1x WPT Passport Feeder entry for every $109 in the prize pool. Prizes: 1x WPT Passport entry for every $530 in the prize pool. Prizes: 1x WPT Canadian Spring Championship 2016 prize package guaranteed, additional packages for every $5,000 in the prize pool. 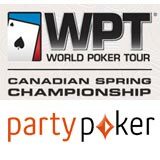 Register for the 2016 WPT Canadian Spring Championship qualifiers in the PartyPoker lobby.